To dream of a robot cleaning up your home at a simple voice command, may not be a far-fetched fantasy anymore. 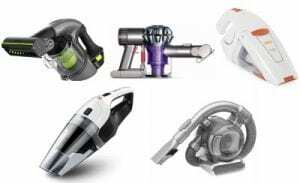 Robot vacuum cleaners are now widely available and are no longer out of reach for most people thanks to lower-priced models. 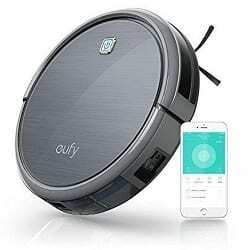 The Eufy RoboVac 11c is an inexpensive WiFi robotic vacuum cleaner with high intelligence and convenient integration with Amazon Echo and the Google Home smart speaker. The cleaner can be easily controlled remotely through a smartphone. Dimensions:8 x 12.8 x 3.4 inches. Bin Capacity: Over 0.5 litre. The Eufy RoboVac 11c works well for low and medium thickness carpets. It cleans equally well on different surfaces like hardwood, tile, vinyl and linoleum. It is a wonderful charm for cleaning out pet hair. When you buy this machine, you also receive the remote control, charging base, power adaptor, a welcome guide along with cleaning tools and multiple side brushes for enhanced performance. A budget robotic vacuum cleaner is rare and this one matches up to its promise by providing WiFi connectivity, Alexa and Google Home compatibility, smartphone control and a long battery run. 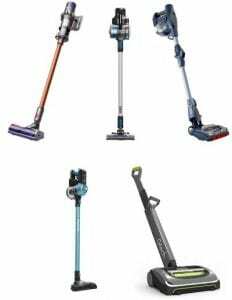 It has several features that make it hassle-free and convenient to operate and be on top of that deep cleaning expedition through your home. It offers options for weekly scheduling, sports a spacious debris bin, has multiple cleaning modes, a robust filtration system and extra power performance for scaly and rough surfaces. It uses BoostIQ technology, matched with a three-point cleaning system and high powered suction of 1,200 Pascals to adequately clean most surfaces. It also has a power boost tool that can work well with medium-pile carpets. If your pet sheds a lot this cleaner is great news because it has a triple filtration mechanism and large-sized bin that easily disposes of the pet hair. It has an ergonomic design that enables it to crawl to various nooks and corners. It is fitted with high-traction wheels that give it mobility across different carpet types. It also has multiple side brushes that synergise to sweep and stack away dust and debris along the sides and corners. A wide rolling brush concentrates on accumulating fur and hair that may be stuck to the carpet or surfaces. The technology is based in the triple filtration system consisting of two regular filters and a HEPA filter. 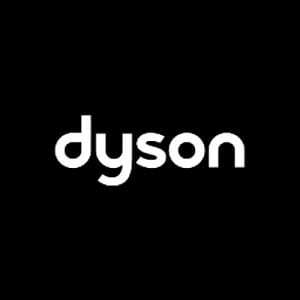 A range of dirt particles including fine dust to hair strands, allergens, pollen and dirt trapped in carpet fibres get tracked and cleaned out with the strong filtration system. The filters are designed to facilitate popping in and out. The bin provides for easy disposal with a large capacity of over half a litre. The normal mode has a long battery life of 100 minutes. Depending on the area to be cleaned and time, different cleaning modes can be selected through the remote control. Auto Mode: The vacuum works on default, covering the room in the most efficient manner. It changes modes as it makes its way through different surfaces. Spot Cleaning Mode: It whirls in a spiral movement along one focus area. This is specifically to counter highly concentrated dirt particles in a small area. Edge Cleaning Mode: The robotic cleaner automatically detects corners and walls and moves alongside, cleaning away the dust on the sides. Single Room Cleaning: The RoboVac would remain in an enclosed area and not move outside the boundaries or corners. Manual Cleaning: You can choose from the remote control navigation and direct the cleaner to focus on a specific area. The Eufy RoboVac 11c has a special feature where it can be operated through the remote control app. Once a user account is created on the app, you can select the scheduling options that suit you. Even while you are away, you would get updates and notifications. The home remains clean, even while you are not around. This can be done by scheduling certain cleaning modes for different days and times of the week. This unique feature makes it fun to operate and convenient to control. You can easily multi-task or just sit around and watch your home getting cleaned up with zero effort. 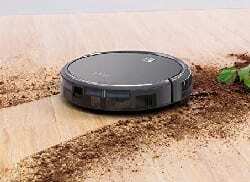 Great value for money, the RoboVac is an affordable robotic vacuum and among the best robot vacuums in the market. It has built-in WiFi which makes it easy to convert your smartphone into a remote control to supervise the cleaning process. It is designed to be low profile and can be simply navigated to various parts of the room, it can crawl under furniture and reach narrow gaps. It has an auto-recharge function. In the regular cleaning mode, it has a high battery life of 100 minutes that makes it easy to complete deep cleaning in one session. It is efficiently automated and allows weekly scheduling. It can get stuck in heavy or deep-pile carpets. It does not resume after auto-charge. Designed with the traditional circular shape cleaner, tempered glass and a tight diameter and height, this robotic vacuum cleaner is economical for your pocket and ergonomic to operate. It is a steal since it offers the luxury of a robotic device at an easily affordable price. Though it cannot engage in intricate area coverage, it is easy to navigate and control. It can become a reliable helper for your daily chores as you manage the weekly scheduling and enjoy the experience of sitting back and relaxing while your home gets auto-cleaned the way you want and when you want. The product allows for easy replacement or repair of parts and comes with a year-long warranty. The Eufy RoboVac is a great cleaning assistant for small and medium-sized homes and apartments.